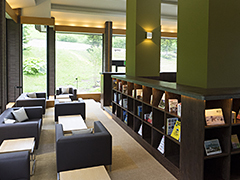 Books & Cafe is the space in a collection of books about Hokkaido. Coffee is also available for free. 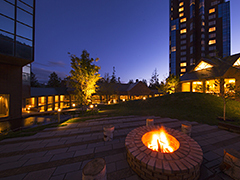 In front of the lobby, there is a courtyard to feel the nature of Hokkaido. It is a shop located on the first floor hotel. It sells souvenirs and liquor. No need to go out in the cold to rent your gears. Full range of equipment rental available at both The Tower and Risonare Tomamu. 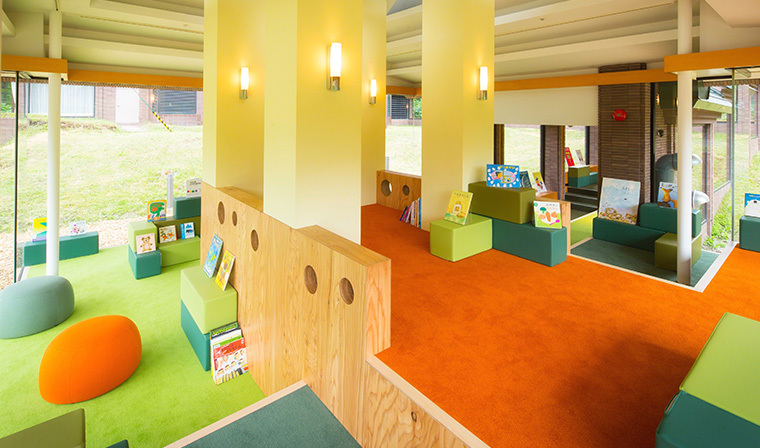 The Kids Room adjacent to Risonare Tomamu lobby was completed July 2015. 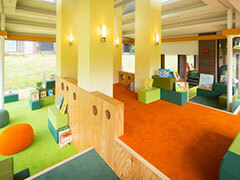 A nice playground for small children while the parents check-in. Don't forget to take your shoes off when entering the Kids Room.